Seven members of the Pacific Life Community stood trial in US District Court on Monday, October 21. 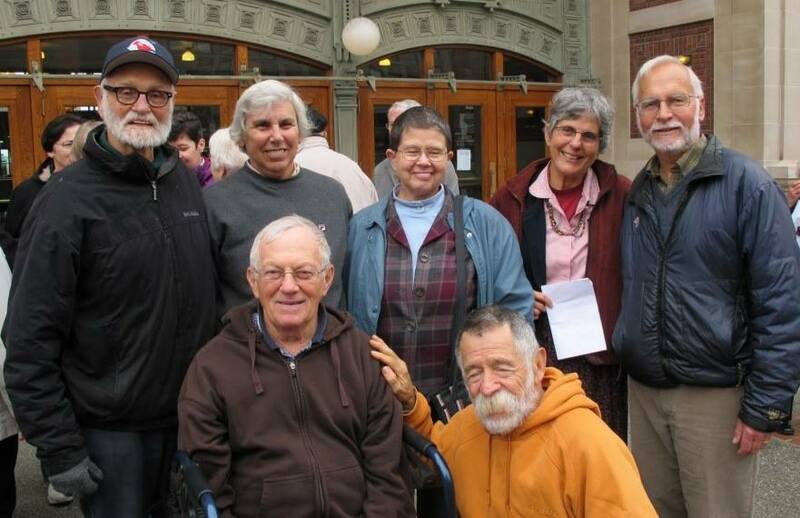 They were charged with trespassing, stemming from their arrests during the March 4, 2013 nonviolent direct action at Naval Base Kitsap-Bangor. 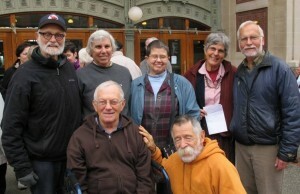 William “Bix” Bicshel, SJ; Susan Crane; Ed Ehmke, Betsy Lamb; Denny Moore; Mary Jane Parrine and Jerry Zawada, OFM appeared before Chief Magistrate Judge Mary Alice Theiler in United States District Court, Western District of Washington in Tacoma. In a historic decision, five Catholic Worker activists were acquitted October 24 of disorderly conduct charges for blocking the main entrance to Hancock Air Base, home of the 174th Attack Wing of the Air National Guard, Syracuse, New York. Hancock is a Reaper drone hub whose technicians pilot weaponized drones over Afghanistan. 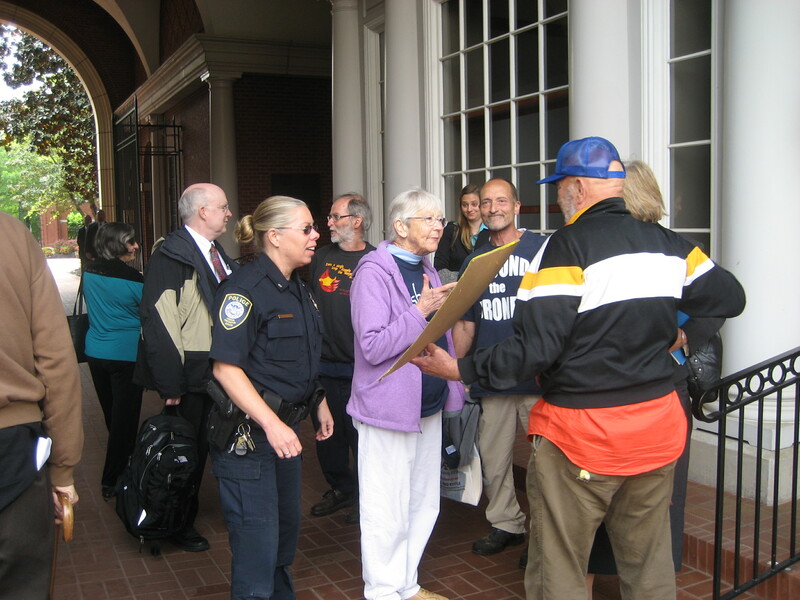 The five went “pro se,” defending themselves in the De Witt town court of Judge Robert Jokl. 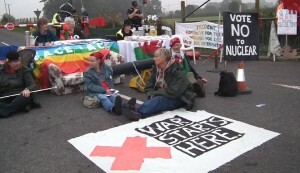 The Welsh Blockade of Burghfield AWE on October 3 turned out to be one of the highlights of my year. Our bus from Wales was full to overflowing with activists from Aberystwyth, Knighton, Cefn Forest, Blackwood Cardiff, Builth, Llandeilo and Swansea, and we had to commandeer a second van to transport our large dragons. We were all in high spirits. 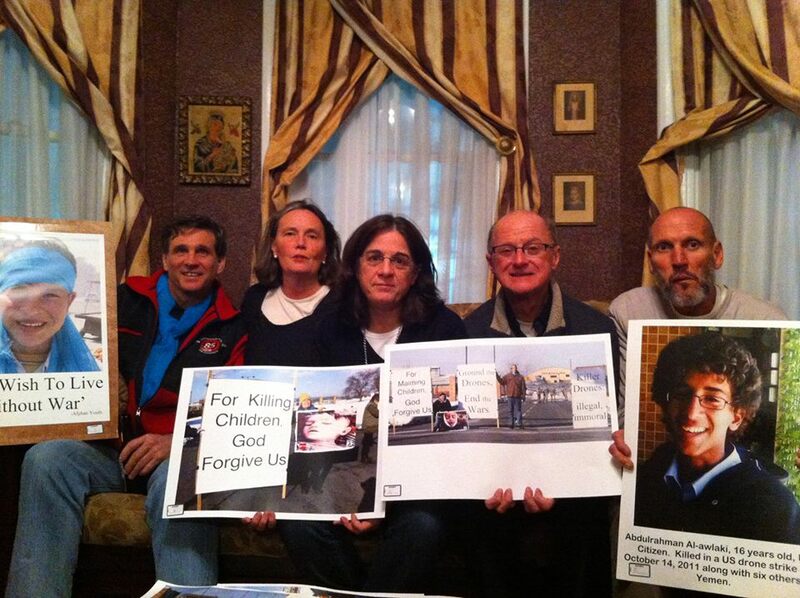 Our love of peace was the motivation that drove us to act. After a night without much sleep at the Friends Meeting House in Reading, we were up at 5 a.m. and off to the nuclear bomb factory at Burghfield.